After a day of being taunted by classmates about her unruly hair, Mackenzie can’t take any more and she seeks guidance from her wise and comforting neighbor, Miss Tillie. 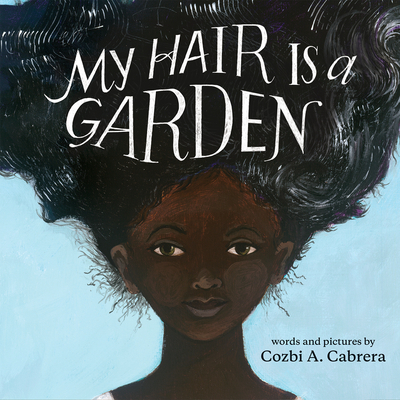 Using the beautiful garden in the backyard as a metaphor, Miss Tillie shows Mackenzie that maintaining healthy hair is not a chore nor is it something to fear. Most importantly, Mackenzie learns that natural black hair is beautiful. Cozbi A. Cabrera received a BFA from Parsons School of Design. She is the illustrator of several acclaimed children’s picture books. She also designs clothes and makes cloth dolls that have garnered the attention of collectors around the world and have been featured on the Oprah Winfrey Show. She lives in Chicago.